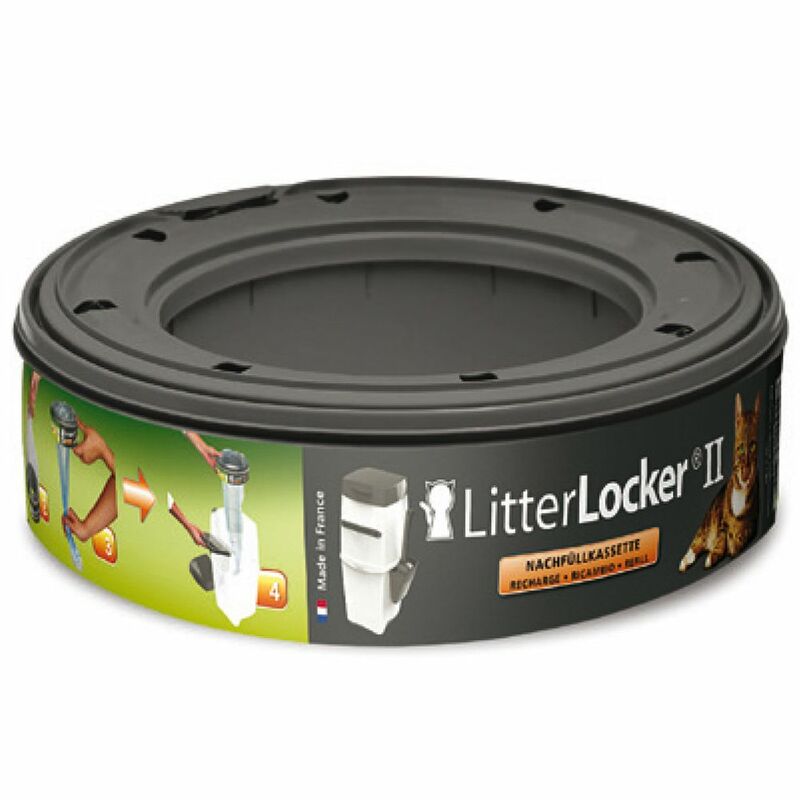 The LitterLocker is a disposal bin for used cat litter, with a unique seal system to guarantee total freedom from unpleasant odours. It is hygienic, easy to use, and eliminates those daily trips to the rubbish bin. AΒuming you clean out your cat's litter tray once daily, the LitterLocker can hold up to 2 weeks' worth of cat waste. If you have one cat and clean the litter box once per day, the cartridge will last up to two months. The LitterLocker II Refill Cartridge at a glance: Practical cartridge containing a film tube Completely airtight: thanks to the multi-layered film with AIR-SEAL technology Environmentally friendly cartridge: made from 25% recycled materials Traps odours, germs and bacteria Refill lasts for an average of 2 months in households with one cat The film cartridge is easy and hygienic to use: 1. Open the cartridge by removing the plastic strip. 2. Carefully pull out the end of the film. 3. Pull the film through the middle of the cartridge. 4. Knot the end. Price just £5.19! Click here to buy now!